How do I rent a film and how do I watch the full-length film? Make sure you provide a valid email so you can receive a confirmation email with your credentials and the link to the film. You will have to create a USERNAME and PASSWORD. 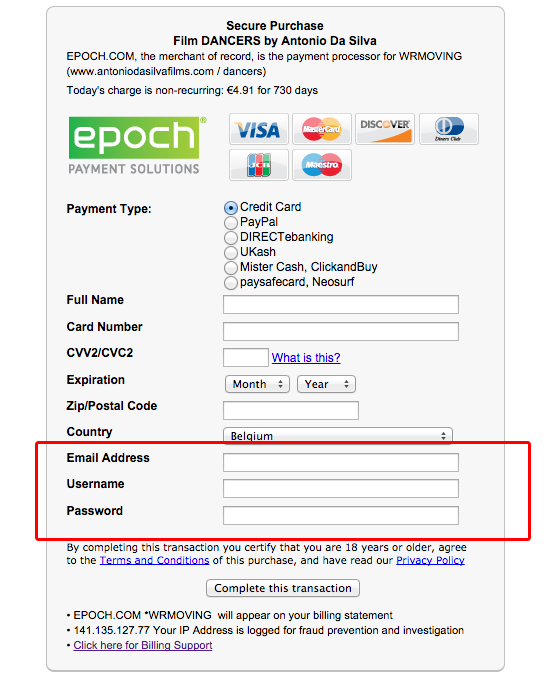 If you have problems during the transaction please contact epoch.com directly. These guys are super efficient and friendly! Just tell them the website you are trying to do a purchase from and they will help you. Use the film specific USERNAME and PASSWORD you have just created. If you still have login issues please send me an email (antoniodasilvafilms@gmail.com) and I’ll get back to you ASAP.